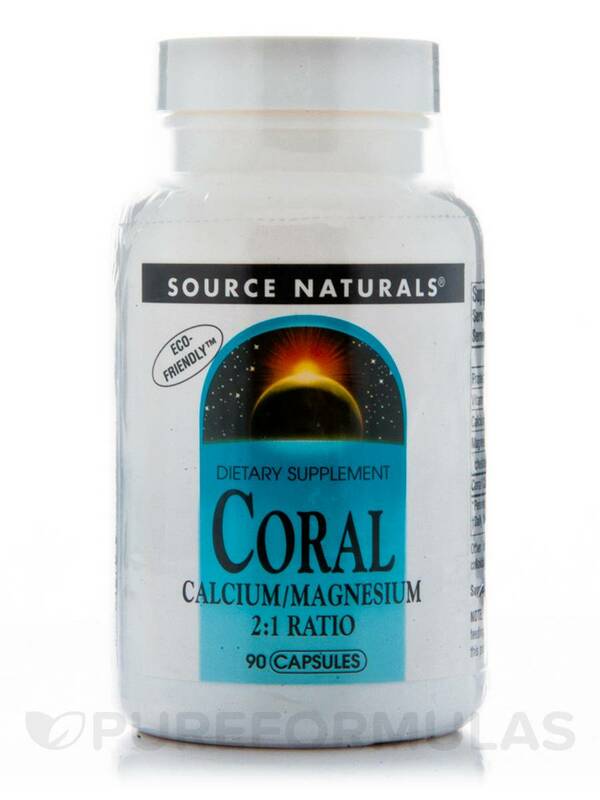 Source Naturals Coral Calcium/Magnesium contains a higher level of magnesium than the original Coral Calcium to provide the important alkaline minerals‚ calcium and magnesium‚ in a 2:1 ratio‚ as well as other trace minerals. An initial study on an alkaline mineral blend demonstrated an increase in blood alkalinity (pH) and buffering capacity. Proper alkalinity (pH) of the blood is critical for the overall health of the body. Source Naturals Coral Calcium/Magnesium is eco-friendly: it is harvested in Okinawa‚ Japan from fossilized (dead) coral and is not harmful to living coral. consult your health care professional before using this product.Do not use if either tamper-evident seal is broken or missing. Keep out of the reach of children. 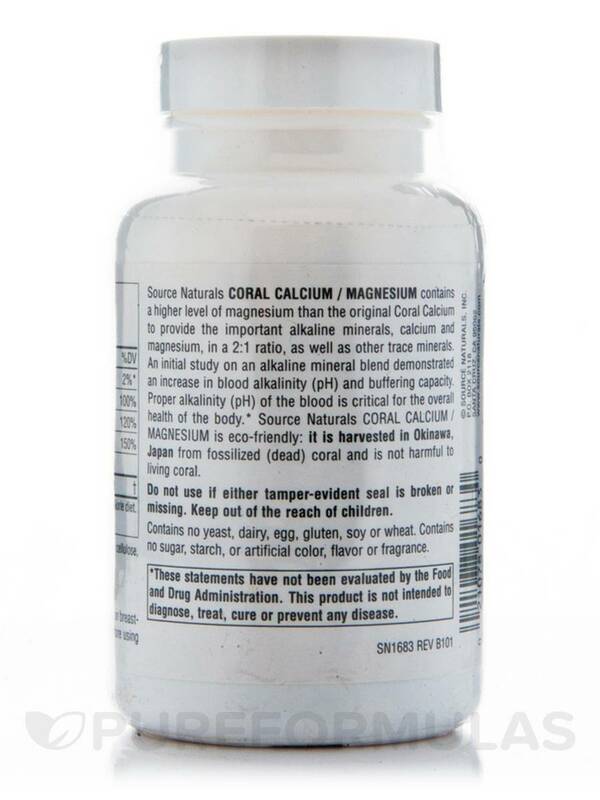 I have tried many other coral calcium/calcium supplements but Coral Calcium with Magnesium has proven the best visible results when I add to another calcium product that contains Vitamin K. Just coral calcium by itself doesnt do a thing for me. Even Coral Calcium with Magnesium doesnt do a thing for me. But by adding to a product with Vitamin K and the minerals that this coral calcium formulas has in it my nails are finally getting to the point where they dont just catch and tear on anything. After about 2 weeks on Coral Calcium with Magnesium my nails are now even harder then theyve been in probably 10-20 years!! I am so happy with this product! It wasnt recommended I just decided to combine the two supplements (calcium and minerals) I knew I needed and found this product. I would recommend Coral Calcium with Magnesium especially to women who have osteoporosis or soft nails but do add the Vitamin K or you might not see the results youre looking for. Great price and it works with the vitamin K added! I wish it had vitamin K in it. 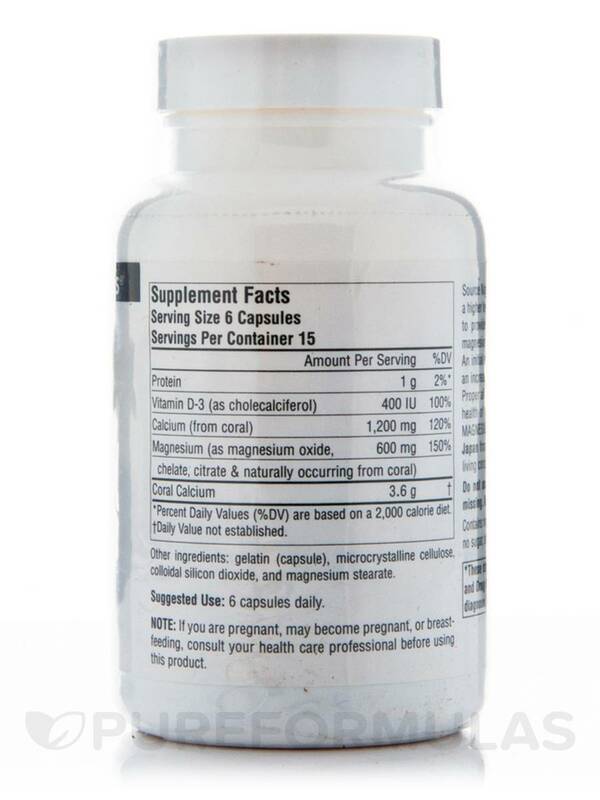 Coral Calcium with Magnesium has calcium with the proper ratio of Magnesium.